Paul Splingaerd (Brussels, 1842 – Xi’an, China, 1906) was a Belgian expatriate of humble beginnings, who became a mandarin (bureaucrat in China) in the late Qing government. 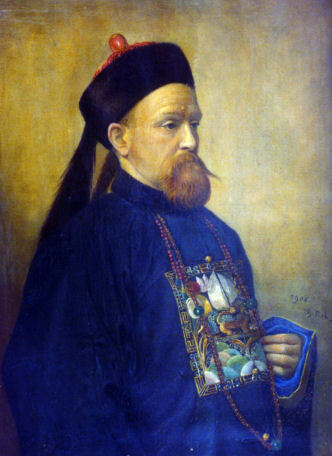 Labelled the “Belgian Marco Polo” of his times, his Belgian roots and status as a Chinese mandarin gave Paul a unique and highly regarded perspective on Chinese-Belgian affairs. It greatly facilitated his effectiveness in his role as a liaison on multiple Sino-Belgian projects in the late nineteenth century. Paul Splingaerd was born in Brussels in 1842 in the post revolutionary years of Belgium’s secession from the Netherlands. A mere dozen years earlier the Belgium Revolution had established the Kingdom of Belgium. But, it wasn’t till 1839, three years before Paul’s birth, that the the Treaty of London finally recognized Belgium as an independent country. Simultaneously, 1842 was also the year that China was forced to open it’s doors to the West. It signaled the end of the first Opium War, which was started in 1939 instigated by British-Chinese conflict over trade and China’s sovereignty. It ended with the signing of the Treaty of Nanking; Hong Kong becoming a British territory and the establishment of ports in Shanghai, Amoy, Canton, Ningpo and Fuchow. Further treaties and concessions with Britain and France swung the door even wider ajar in the following years. The Second Opium War (also called the Arrow War) from 1856 – 1860 gave a footing to even more foreign powers—leaving in it’s wake a China now completely open to foreign traders from everywhere. So, this was the world Paul was born into. On the very day of his birth on April 12, 1842, he was left at a Brussels orphanage run by Catholic nuns. “Tucked into two warm shirts , a hooded jacket and a blanket was a birth certificate indicating the baby’s name and date of birth” (The Belgian Mandarin, p15). Just six weeks later he became the foster child of the Després family, from the farming town of Ottenburg, southeast of the capital. Ottenburg during his youth was marked by crop failure, epidemics and the collapse of the flax industry. Rural areas like Ottenburg lost significant portions of their income. Overpopulation and growing poverty proved a detrimental obstacle to a proper education for under-privileged children and seriously impacted opportunities for the poor masses to better their stations. At 21, Paul left for Brussels to perform mandatory military service and find work. It was there that he encountered Fr. Theophile Verbist, the chaplain at his military school. Having recently become director of Saint Enfance (Holy Childhood), an organization established to help abandoned children, Fr. Verbist shrewdly proceeded to enlist suitable prospects for international missionary work in his new order—the now globally renowned Congregation of the Immaculate Heart of Mary (CICM). Creating a Belgian Mission in China was at the top of his agenda. Paul lack of sophistication and poor educational background did not dissuade the priest. Fr. Verbist found him to be “intelligent, quick-witted, patriotic, loyal and a devout Christian”. In 1863, Paul left his position as an assistant to a local handyman to join Fr. Verbist’s first recruits performing similar duties. His decision to accept this post forever changed the tangent of his life. In 1865 Paul left Belgium for China with Fr. Verbist and three other founding priests as their handyman and lay helper. After Fr. 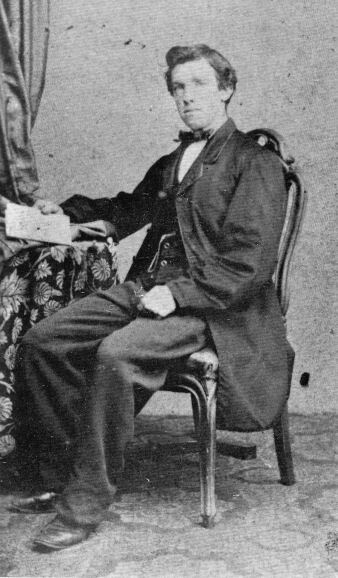 Verbist’s unexpectedly succumbed to typhoid fever in 1868 at the age of 45, Paul in rethinking his future left the mission for Beijing after his death. But, he remained in contact with the mission for years to come through visits and the use of his clout when help was requested. His friend and German craftsman, Laurent Fransenbach had a arranged a job for him with the German/ Prussian ministry, where he himself was employed. Fransenbach had worked with Paul at the Belgium Mission after arriving there with the second wave of priest recruits. His agreement with the mission was terminated after personality conflicts with Dr. Verbist and behavior that reflected his discontent with the lifestyle. It was at the embassy that Paul met and became a guide and interpreter for the eminent, German geographer and geologist, Ferdinand von Richthofen. Richtofen is famous for having coined the termed “Silk Road”. Mount Richtofen in America’s Rocky Mountains range bears the name of the pioneering explorer. His four years of expeditions through 11 of China’s 18 provinces resulted in the transformative geological treatise China, the Results of My Travels and the Studies Based Thereon (China, Ergebnisse eigener Reisen und darauf gegründeter Studien). The 5-volume great work supplemented by his two-volume China Cartographica atlasw as published between 1877 and 1912 . This compilation to that time represented the first impactful European study on Chinese geography. For many years afterwards, it remained the standard in geographical and geological circles. 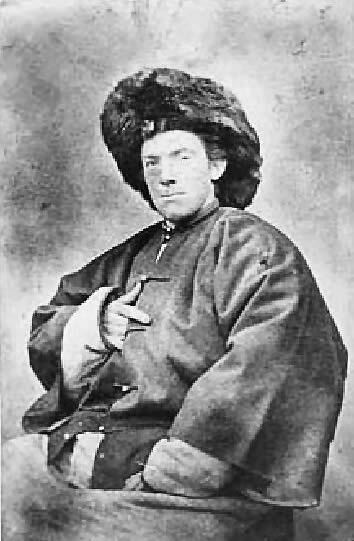 While subsequently running a fur and wool trading business in Mongolia (1872–1881), Paul was called by viceroy Li Hongzhang to serve as Customs Inspector at the far western post of Jiuquan (also known as Suzhou) on the border with Xinjiang (新疆). During his 14 years as a mandarin in Jiuquan, he ran the Suzhou Small Pox clinic, and fostered understanding and appreciation of westerners, their culture and their technology (1881–1896). You can read more of Paul Splingaerd’s captivating life story in the book The Belgian Mandarin written by his great granddaughter, Anne Splingaerd Megowan.